March 17, 2018: Dr. Sania writes about the importance of human capital development for national growth and progress. Read more. 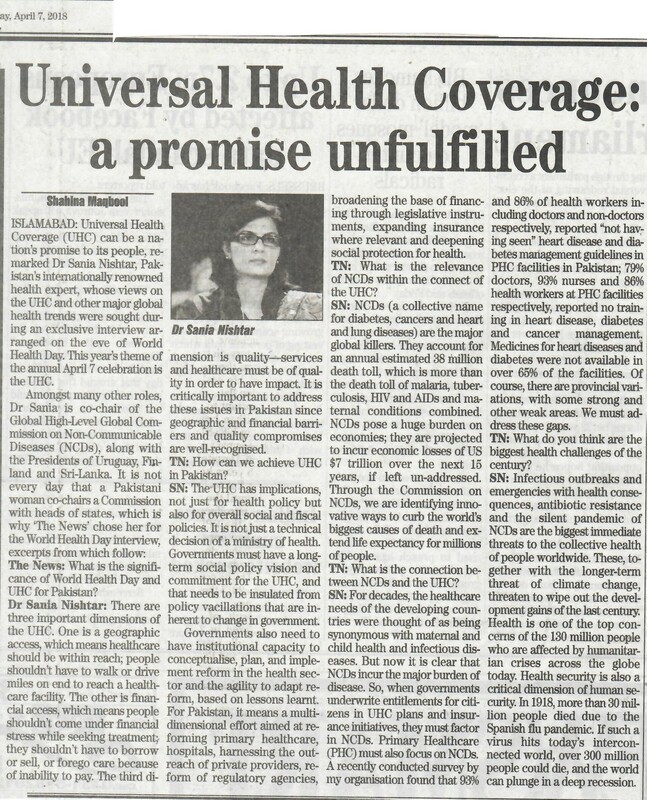 March 1, 2018: Lord Nigel Crisp, co-chairs of UK’s All-Party Parliamentary Group on Global Health and an advocate for Nursing Now and Dr Sania Nishtar write about how important it is to accord attention to the potential of nurses in this Oped. Read here. February 21, 2018: Dr. Sania writes about the importance of human capital development for national growth and progress. Read the oped here.